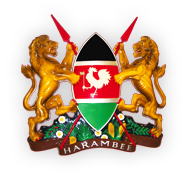 Visitors to Kenya are required by law to have passports with validity of not less than six months and prerequisite visas. You can obtain your visa at the Kenya Embassy in Berlin or on arrival at the airport. We however advise you to have your visa prior to travel since most airlines and airport authorities expect you to have one prior to travel to Kenya. Check visa requirements to Kenya from your tour operator, airline, Kenyan tourist office or embassy in your country before embarking on your visit. Kenya’s currency is liberated therefore money is freely changed at banks, forex bureaux, and at the hotels. We advise that you check exchange rates regularly, and that you exchange your currency at banks or licensed foreign exchange bureaus – avoid street dealers altogether. Major Credit Cards are widely accepted and Banks at international airports operate 24-hour service. Visitors from Europe do not require yellow fever and or cholera vaccinations. However, visitors from countries where the diseases are prevalent require yellow fever and cholera vaccination certificates. Carry along some anti malaria tablets. Avoid foods and drinks from backstreet vendors. Under no circumstances should you bathe in rivers and / or lakes. Kenya, like any other country, has its share of crime and there are a few basic rules you can observe to avoid unpleasant situation. Avoid carrying large sums of cash and do not display jewellery or valuables. Do not walk through unlit areas at night. Ask your hotel doorman to call for a taxi and agree on the price before boarding. Restrain from taking photos of people without permission and government installations filming is prohibited. You may bring any reasonable amount of personal effects together with cameras and any amount of film duty free. Film is usually available at most game lodges but stocks are usually few and of the common sizes and brands. Ensure you have a good supply of batteries for your camera, as these are seldom available when on safari. A service charge is usually included in all tariffs, however tipping for exceptional service is always appreciated and is largely at your discretion. Customary tips for bar service and room porters are 10% whereas restaurant tariffs that exclude service charge will anticipate a 5-10% tip. Dress decently to keep up with African culture and traditions, dress warmly for cold weather and light at the coast. Please ask your driver to stay on the designated tracks, even if it means you may not get the best photograph. Off-road driving causes irreparable damage to the vegetation and may kill or injure baby animals hiding in the grass. Wildlife surrounded by vehicles is unpleasant and causes great distress. Cheetahs hunt only during the day and can easily be deprived of their meal if surrounded by vehicles. Please be quiet when viewing: ask the driver to switch off the engine and keep a minimum distance of 20 metres. Do not, under any circumstances, get out of your vehicle. Many animals will become aggressive when harassed or provoked. In addition, adhere to instructions from your nature guide while on a nature walk. Never feed animals at your hotel or in the wild since it upsets their diet and leads to unnecessary dependence on people. Smoking while on a game drive is highly discouraged and always dispose off cigarettes carefully while at camp. Careless disposal of a burning cigarette can start a wildfire that will cause damage to vegetation and suffering to wildlife and people. Litter and garbage in nature-viewing areas is unsightly, affects your enjoyment and threatens the survival of wildlife. It can also cause accidents to people and marine life. These are fragile living organism, they being destroyed by careless recreational activities, to avoid damage-use the established mooring points. Coral reefs provide essential feeding grounds for many species of marine life. When diving or swimming, avoid kicking up sand or stepping on coral, at it suffocates and kills coral polyps. Enjoy water sports at designated points. If not sure, please consult the nearest authority. Fishing is prohibited in marine parks. It is only permitted in the ocean and some Marine Reserves. Spear guns are banned in both Parks and Reserves. There are a number of reputable hospitals in the cities and large towns as well as Flying Doctor services which cover remote areas.